Capture the fascinating beauty of plants. How can an artist create a botanical portrait that is both accurate and aesthetically pleasing? This is the essence of an art form whose charm and universal appeal have made it popular for centuries. Botanical Illustration in Watercolor is the first authoritative, comprehensive book to focus specifically on the materials and techniques of painting plants in watercolor. 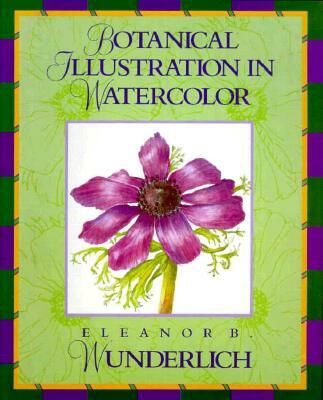 Eleanor B. Wunderlich, a well-known botanical illustrator, is a graduate of Parsons School of Design. She has been teaching botanical illustration at the New York Botanical Garden since 1984. Her paintings are now exhibited at Images Gallery in Briarcliff Manor, New York, and published in articles and books.